Lamborghini, Sant’Agata’s wild child carmaker known for its swoopy, scissor-doored V-12s, earned a different kind of notoriety when it announced it was entering the SUV market. The new Lamborghini Urus is without a doubt the brand’s most practical and well-rounded (and least visually shocking) creation ever. But don’t let its mild styling fool you. 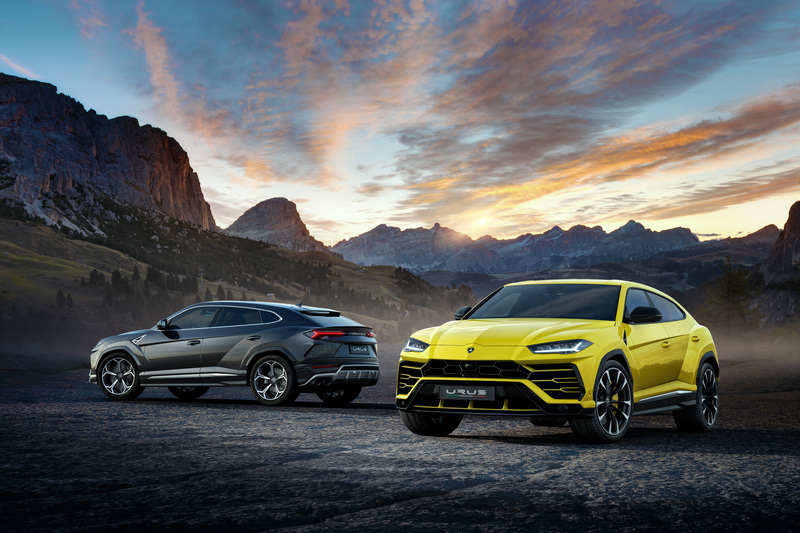 As we recently learned on a racetrack, street, and dirt test drive just outside of Rome, Italy, the Lamborghini Urus also lays claim to a staggering range of athletic prowess. 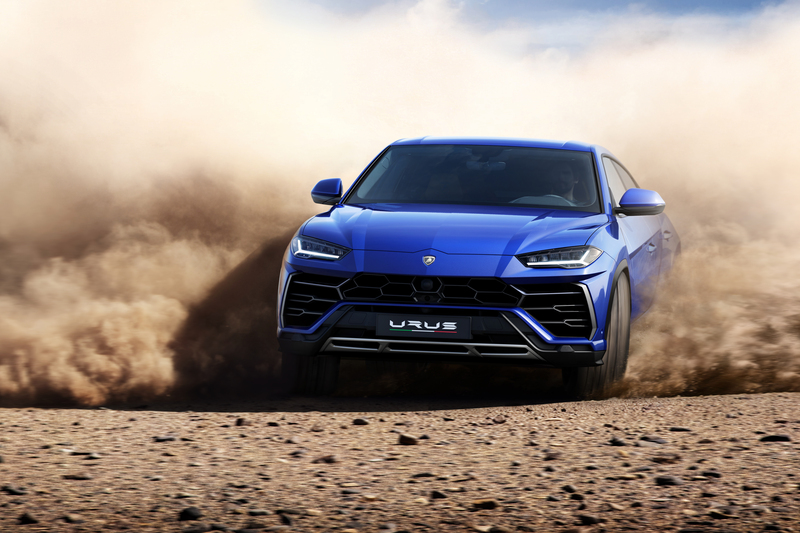 Powered by the first twin-turbocharged V-8 in Lamborghini history, the 641-horsepower Urus can launch to 62 mph in a lightning quick 3.6 seconds. Some perspective: That’s faster than the Gallardo, the previous generation of Lamborghini’s entry-level supercar, despite weighing nearly 2.5 tons. 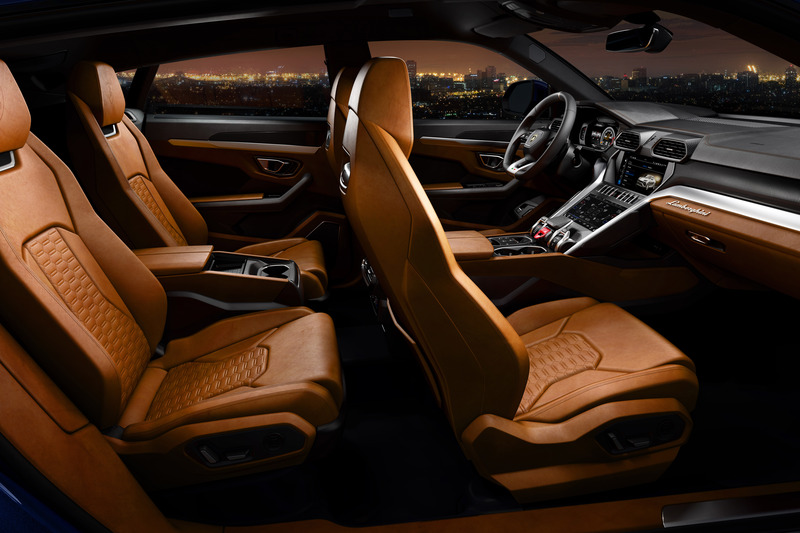 But unlike the angular two-seater, the Urus’ leather and Alcantara-lined interior can comfortably accommodate five adults, provide them with ventilated and heated massaging seats, and stow two full-size golf bags in the trunk—all while going like stink. At the Vallelunga Circuit, raw acceleration is delivered with a startling punch. Activate launch control by jamming both pedals in Corsa (“race”) mode, then lifting the brake, and you’ll get slammed against your seat with a violence that belies the Urus’ moderately sloped roofline. With 627 lb-ft of torque flowing to all four wheels, the geometric SUV’s nose actually lifts as the Urus embarks on a hellbound trajectory to its top speed of 189 mph. And despite the supersized numbers, this big ‘ute isn’t nearly as edgy as previous Lambos. Thanks to a complex network of systems including four-wheel steering, electronically controlled torque vectoring, active damping, and an automatically adjustable stabilizer bar that can go from stiff to fully disconnected, Urus manages to hustle its mass through a corner like it’s a highly tuned midsize performance sedan. Lamborghini focused extra effort on making the Urus feel light on its toes. With air suspension in the lowest setting, the shocks and rollbars stiffened, and all four wheels turning as torque is vectored between left and right wheels, it feels like an invisible tractor beam is tugging you through each corner. Stops are also incredibly effective, executed with seatbelt-snapping force thanks to massive 10-piston carbon ceramic brakes. Our road test put the Urus in an even more absurd light. On the hatchback-littered country lanes outside of Rome, the Lamborghini appeared a bit wilder than it will in exotic car havens like Paris or Los Angeles. But its ability to devour pavement is uncanny: Simply point the wheel and drop the hammer, and you’ll be hurdling towards the horizon (and past those pesky hot hatches) with startling alacrity. Our tester was equipped with optional double-glazed glass that insulated us from road noise, though it also muted the already tame exhaust notes we wish were a bit more sonorous. Thankfully, Lamborghini says an optional sport exhaust is coming soon to liven the listening party. As un-Lamborghini-like as it may seem under many circumstances, the most surprising aspect of the Urus’ capability can be found in the dirt. Using an improvised rally course carved out of the Roman countryside as a sort of mini racetrack, the Urus powerslides its way through loose earth and gravel with a gracefulness that left us genuinely surprised. High-altitude air suspension and dirt-capable Pirelli Scorpion tires didn’t hurt. But the real hero here proved to be the sophisticated electronics, which have a way of controlling the engine’s prodigious output and routing it the appropriate wheel, making the driver look like a stone-cold badass while effortlessly gliding to the next corner. Between the eye-popping performance and disarming sense of austere luxury, the newest Lamborghini manages to tick more boxes than the average well-heeled carbuyer knew they had. At $200,000, the Urus is Lamborghini’s most affordable model, but it also happens to be the most capable and usable by a longshot. But longtime Lambo fans will also feel the absence of the brand’s signature, untamed streaks that inspired its first and only prior SUV four decades ago, the ludicrously boxy LM002. While it would have been an entirely different direction to incorporate extreme styling and snorty sounds into the Urus, Lamborghini has chosen to sacrifice some of its infamous edge for the sake of attracting a new crop of enthusiast. It may not satisfy the longtime fanboys seeking a shrill, hard-edged people-hauler, but for the vast majority of the luxury SUV-buying public cross-shopping premium ‘utes like the Bentley Bentayga, upcoming Rolls-Royce Cullinan, and the Aston Martin DBX, the Lamborghini Urus is a raging bull that just happens to have enough civility to be covetable.